The group of Russian astronomers spotted something unusual. They were observing the rather innocuous star HD 164595, located in the constellation of Hercules 94 light years (or about 900 trillion kilometres) from Earth. It’s a sun-like star of a similar age to the Sun and is known to have at least one large planet orbiting it. So it was with some surprise that the astronomers at the RATAN-600 radio telescope, located in Zelenchukskaya and led by Nikolay Bursov, received a short but loud radio burst from the direction of HD 164595. News of the signal broke in mid August this year – even though it was originally picked up on May 15 2015. 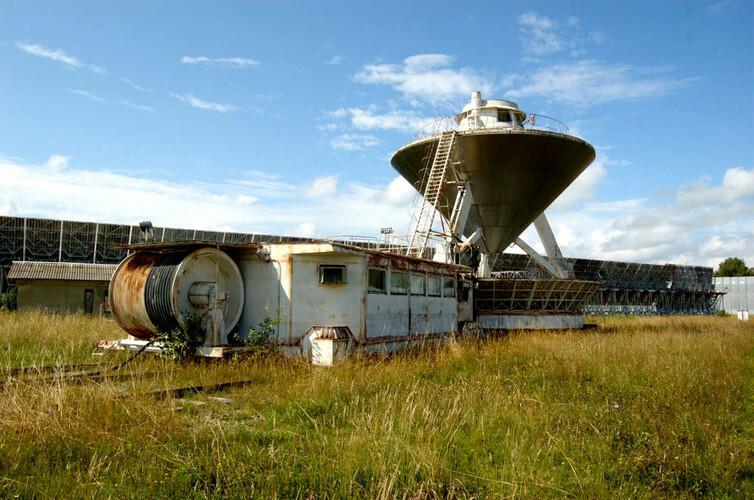 Given the possible origin of the radio signal, its frequency, and the signal strength there has been much speculation about what the source could be, including the possibility that it is a beacon signal from an advanced alien civilisation. Such a short duration and bright radio burst is difficult to explain as a naturally occurring, if it is at the distances suggested by the direction it came from. The strength of the signal was 0.75 Janskys, which might not seem much given that a mobile phone at a distance of a kilometre has a signal strength of 110m Janskys. But at the distances involved (if it is coming from HD 164595) it is a very powerful signal indeed. In response to the announcement, the Search for Extra-Terrestrial Intelligence (SETI) and Messaging to Extra-Terrestrial Intelligence (METI) institutes are turning the Allen Telescope Array and the Boquete Optical SETI Observatory towards the star. They hope that if this bank of radio telescopes built in part to look for alien life can recover the signal, they can learn more about its nature and origin. So is the mysterious signal likely to be a message from space? If it is a beacon signal, sent in all directions, the transmitter would need a hundred million trillion watts of power. This power consumption is about a hundred million times the entire energy output of all the power stations on Earth. The power requirement could be reduced quite a lot by pointing the beam at the Earth, rather than broadcasting in all directions. This would reduce the power needed to just about the entire Earth’s output. However, at a distance of 94 light years, the radio signal from HD 164595 would have to have been sent years before the source received any of the radio signals that leak out into space from the Earth. Which raises the question why any alien civilisations would have targeted our planet. The frequency that the HD 164595 signal was detected is in the military wave band and not at a frequency we would expect a “Hello” signal to be. We would expect such a signal to be broadcast at a frequency with little noise that astronomers, alien or human, would be using such as the 21cm hydrogen frequency. The detected frequency of the transmission and its strength mean it is more likely a military signal that has bounced off some space debris and into the Russian observatory than an alien signal from deep space. A local source such as this would explain both the short duration and the intensity of the signal. It is also telling that in the previous thirty-eight HD 164595 observations, no trace of any radio signal has been seen. False detections have been made before. The most recent signal was found to be caused by a kitchen microwave being opened while it was still running. In the 1960s, the first pulsar was mistaken for an extra-terrestrial beacon, and even named Little Green Men 1, before being recognised as a rapidly rotating core of a dead star. However, not all SETI signals have been explained. The most famous, the WOW signal of 1977, was both brighter and longer than the 15th May signal. And despite follow up observations, the WOW signal was never observed again and remains largely unexplained. Likewise, KIC 8462852, a star in the constellation of Cygnus, that appears to be changing in brightness in a strange way that currently cannot reasonably be explained. It might even be a mega structure being built around the star by an advanced civilisation. Perhaps the most important thing that comes out of the HD 164595 signal is that there is still a lot of things out there we don’t yet understand and we need to keep looking.